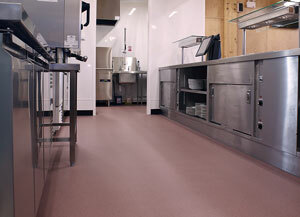 Commercial Kitchens | Polyflor Canada Inc.
Polysafe Apex is a safety vinyl flooring range combining the assurance of sustainable wet slip resistance and high durability, for years of performance in extreme, heavy footfall commercial areas. 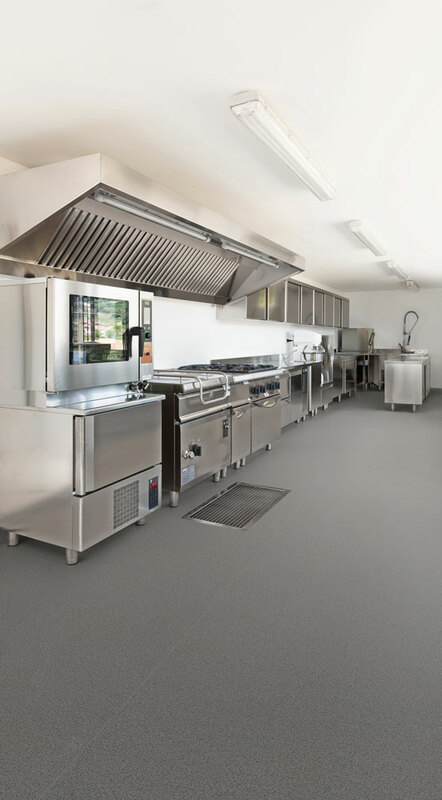 The range provides low slip potential in busy commercial kitchens and food processing areas where oil and grease are regular contaminants. 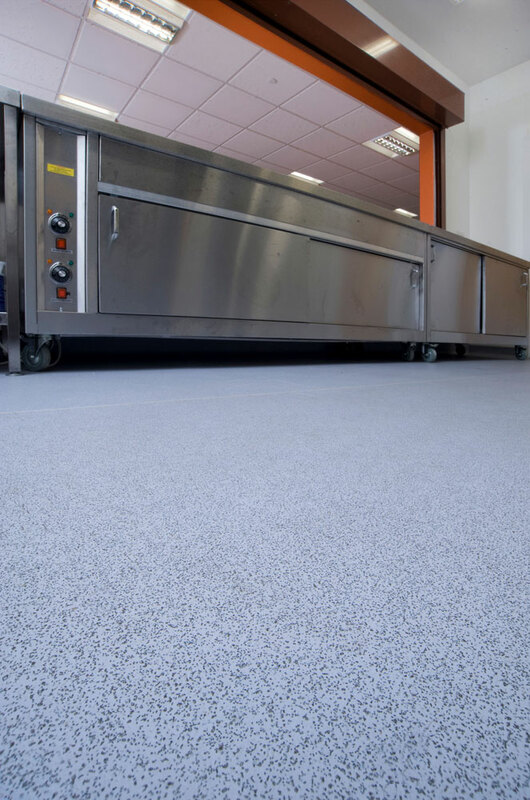 Unlike other ‘pseudo’ safety flooring products, Polysafe Apex contains the aggregate throughout the thickness of the product and is designed to offer sustainable slip resistance throughout its serviceable life. 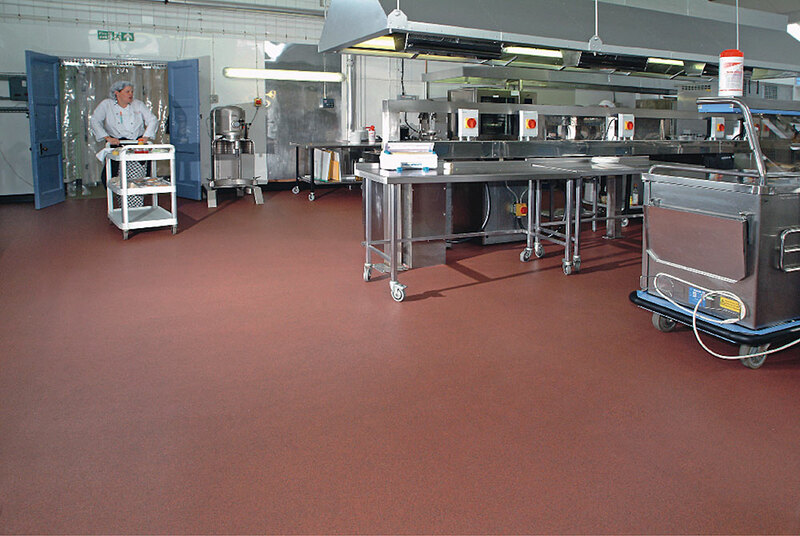 Polysafe Apex is suited to extreme food production and processing areas where there are risks of high viscosity contaminants. 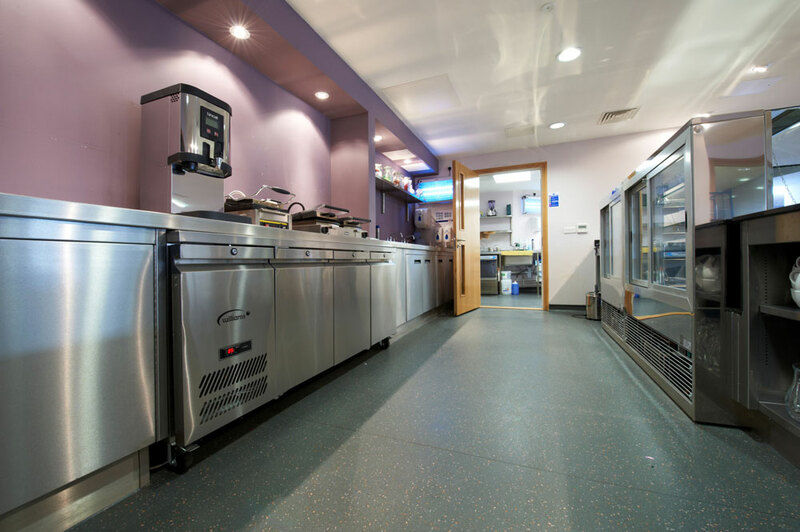 The range has been made for use in busy kitchen environments, whether commercial or gourmet, or in food preparation areas where 100 meals a day are served. 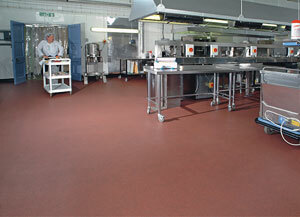 This is where the floor is subjected to everyday spillages such as cooking oil, margarine and grease. 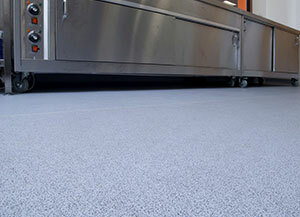 Better performing than a quarry tile in terms of slip resistance and underfoot comfort. 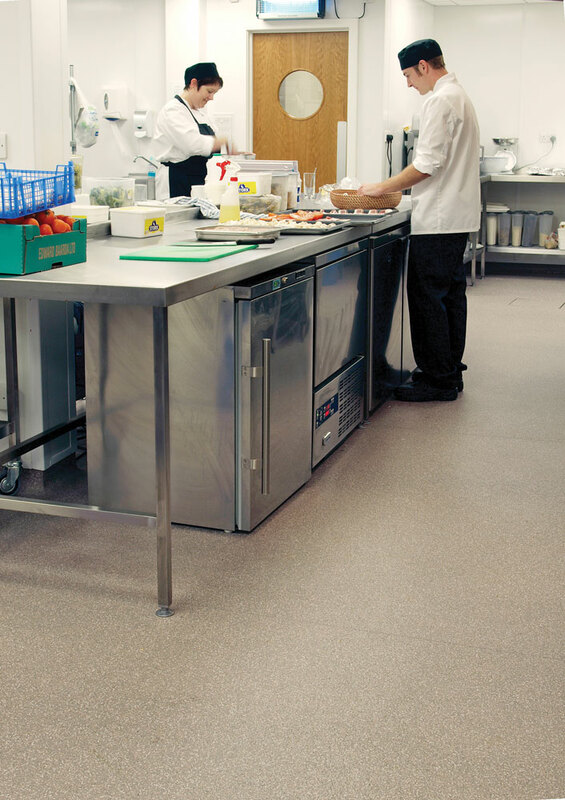 Polysafe Apex is also grout free, which helps to prevent bacteria build up and growth in porous or semi-porous seams found in quarry tiles and ceramic floors. 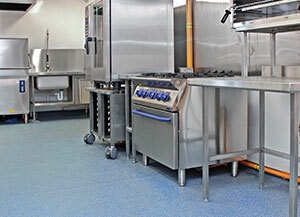 Protect your employees from slips, trips, and injuries that are a common hazard in this environment. 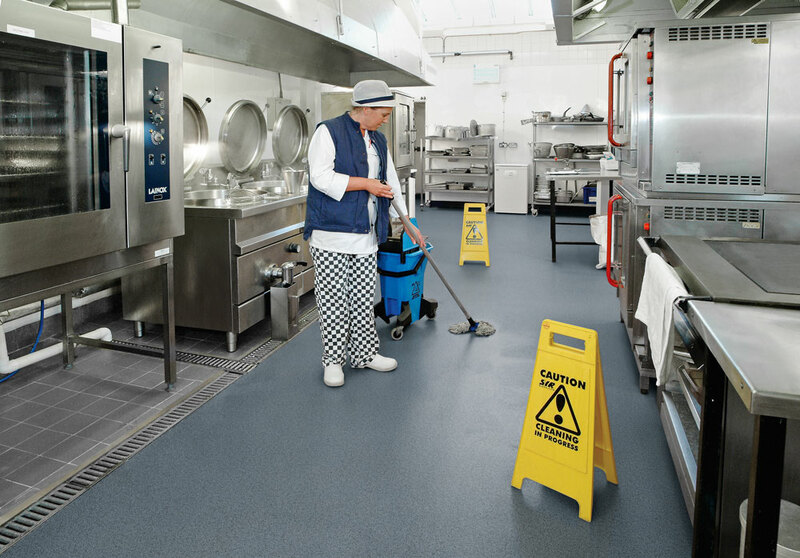 Polysafe Apex reduces the risk of a slip & fall, and therefore reduces employee injuries, absenteeism and the employer's risk of litigation. 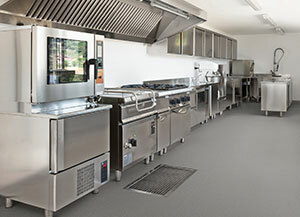 Polysafe Apex may be installed in new or existing freezers and coolers. 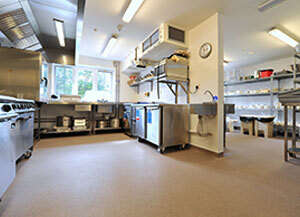 Please check with Polyflor for operating temperatures. 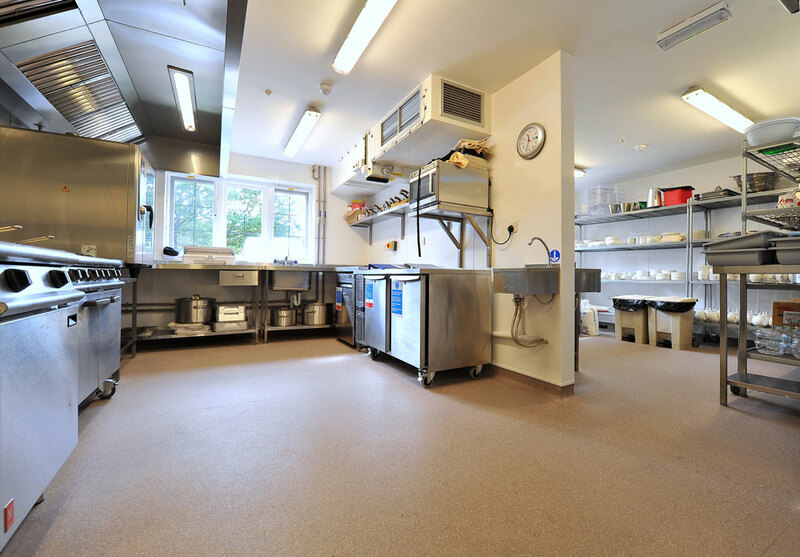 The adhesive manufacturer should also be consulted. 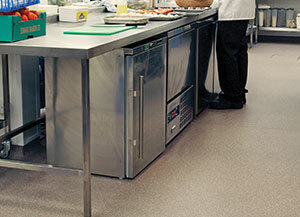 Clamping ring style drains should be used in combination with Polysafe Apex for a watertight solution. 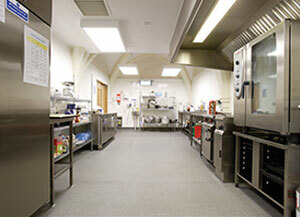 For other drain types please consult your drain accessory supplier. 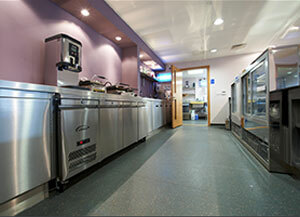 Please refer to our technical manual for more information. 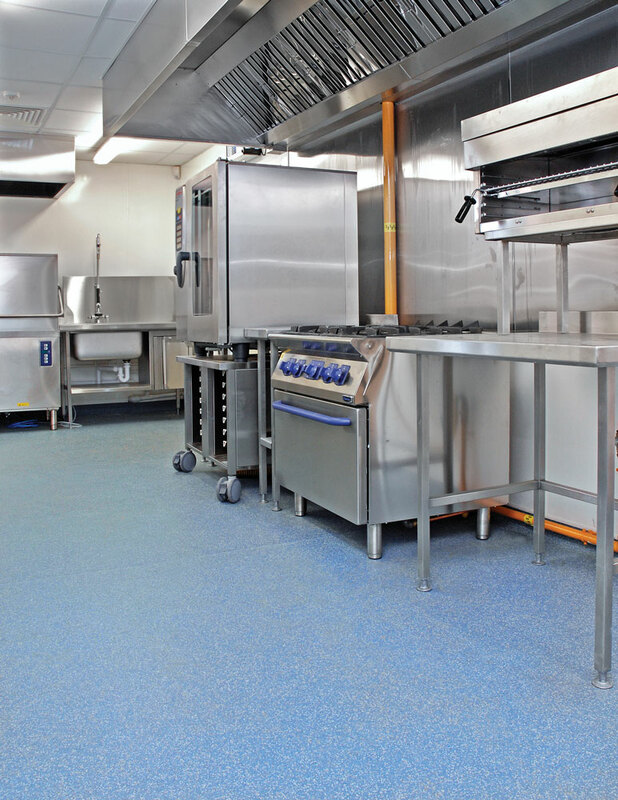 With food debris, grease and oil being deposited on the floor daily, specifically tailored cleaning regimes are important to maintain the slip-resistant performance of the flooring. 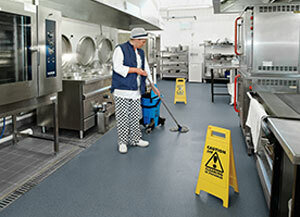 Polysafe Apex can be cleaned either by hand, by using scrubbing machine or even power washed. 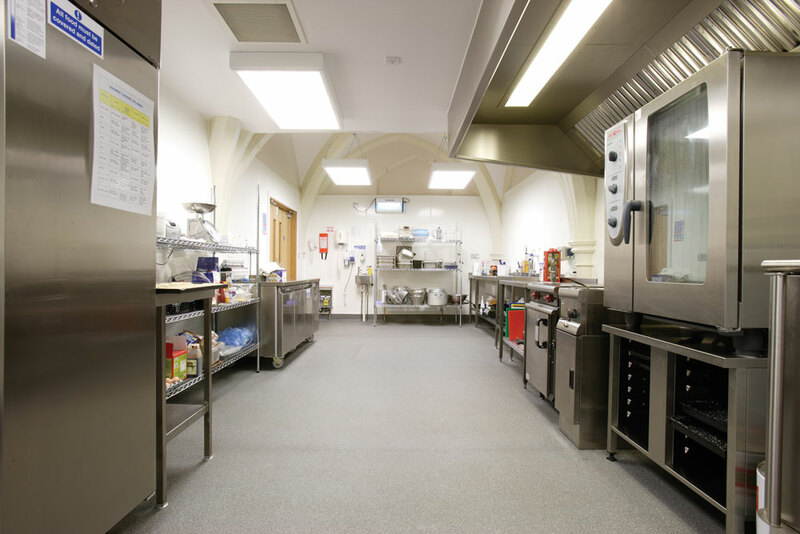 For more maintenance information, please see floor care guides. 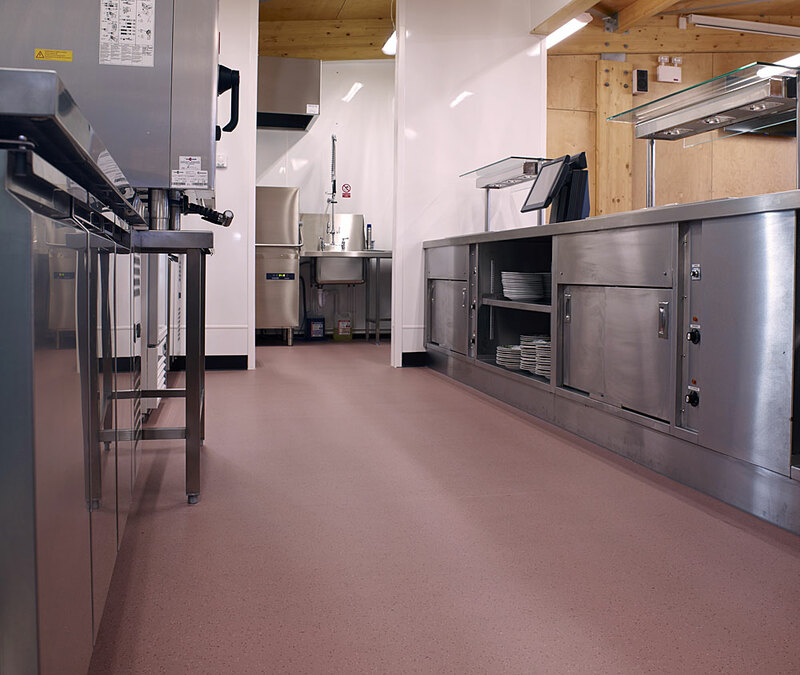 Learn more about Polysafe Apex or contact Polyflor Canada to discuss your specific flooring needs for your commercial kitchen.